If you live in the New Orleans area, this is the time of year to schedule a heating tune up. Whether you have a heat pump, radiant heater, gas furnace, or boiler, the heating tune up will help your equipment to run better and last longer with fewer breakdowns. This seasonal maintenance will also help to improve the heating efficiency during the coming cold season. Here in Louisiana, the high humidity levels really make a difference in how cold the winter weather feels. You will need your heater all season long and you will need it to run as efficiently as possible to avoid high heating costs. 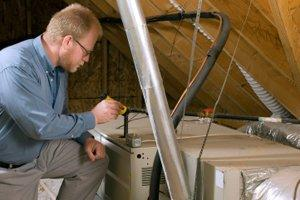 The tune up is an affordable way to avoid high energy bills and heating repairs. Let's face it, heating equipment isn't cheap. It is an investment that you don't want to make again anytime soon. Just as you would not expect your car engine to last long without maintenance, the same is true for your furnace, boiler, or heat pump. A machine won't last if it isn't kept in good shape. The heating tune up is an important yearly maintenance service that keeps the machinery in good condition. This relates to a reliable system that doesn't have to be replaced early. If you take a look at the manufacturer's warranty, you'll find that they want you to maintain the heating equipment to keep the warranty valid. Follow the recommended maintenance schedule and you won't have a problem if you ever have to contact the manufacturer because of defective equipment. Otherwise, they may blame the malfunction on the lack of maintenance. High energy bills can leave you and your family in dire need of help. The heating tune up ensures that the equipment runs as efficiently as possible. The technician will perform a system of checks, tests, adjustments, and cleaning to make sure that everything is functioning properly. If there are any problems, the technician will be able to recommend repairs and provide an estimate. With this preventative maintenance, there's no better way to keep your home as warm and comfortable as possible this season. If you are looking for a air conditioning expert in the New Orleans area then please call 504-733-5888 or complete our online request form. Thanks again Help...A/C stopped blowing around Midnight. Called Help A/C first thing this morning and by early this afternoon I had cold air blowing once again. This is not the first time I had to call Help for a problem. As before you were quick to respond, your technician was knowledgeable ,friendly and polite. I will continue to recommend Help a/c for all your a/c & heating needs.